Stefan Weitz, Microsoft's Director of Search, has been talking about the future of Bing and how visual search, and the speed consumers take to register the images, may hold the key to luring people away from Google. Speaking to Channel 4 News online, Weitz offered up a whole host of titbits about where search is going, explaining that simple linking may soon be a thing of the past. "Search today just isn't where it needs to be," he told Channel 4. "Only one in four searches actually have a satisfactory outcome on the first attempt. You should expect better results, richer results." One way to bring these results, believes Weitz, is visually. And we're not just talking about a simple image search here, but a flip-book style, 3D visual directory. "There are some types of searches which are better served in a more visual interface. People are able to process visual cues about 28 per cent faster than text descriptions alone. Our minds work pictorially," Weitz explained. "When you have 2,000 items, like handbags or cameras or TVs, the ability for a person to flip through [visual] results as well as structured data, like prices, is still a search but not necessarily what we think of as a search. We think that's a different experience that works better there than a bunch of links." Bing isn't just trying to push visual boundaries but real-time ones too. Weitz notes that Bing's incorporation of Twitter into its search engine is one way of filtering out the nonsense that is on the micro-blogging service. "The problem with Twitter is there is just so much [information] – it's very noisy," he notes. 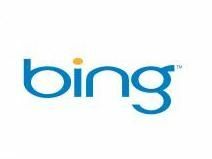 "With Bing Twitter search we have access to all public tweets, in real-time. We are bubbling up the most tweeted articles from across the web. "We're trying to bring up the most popular articles and what the most prolific Twitterers are saying about those articles, so it's a very different experience." Add to this a sprinkling of 'computational knowledge', with the search engine's link-up with Wolfram Alpha, and even if Bing isn't competing with Google in the numbers game, when it comes to innovation it's doing all it can to prove that it's not that far behind.